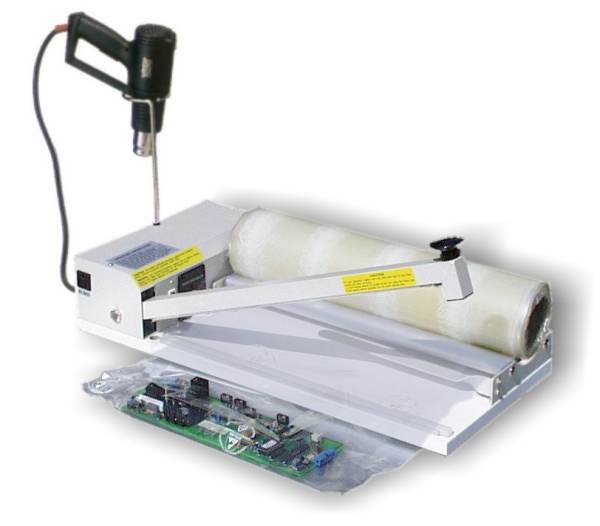 The welding time is adjustable, to match the type and thickness of material. 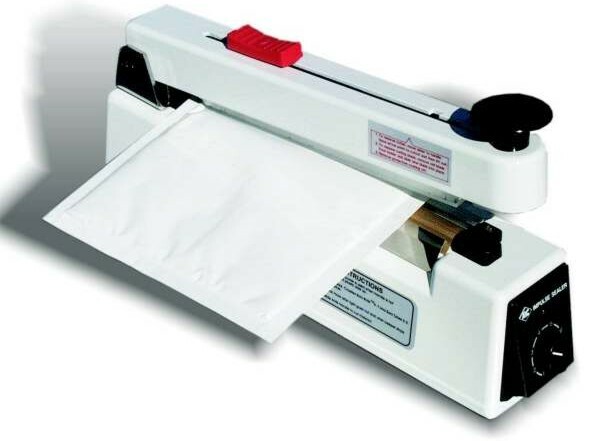 The models with cutting blade can be used to produce bags from tubing or to seal filled bags and to trim the exceeding material. 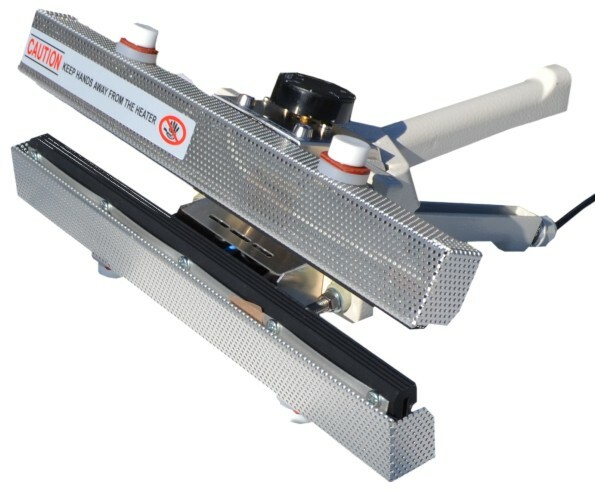 Recommended for the health care industry, creates water-tight seals on sterilisation rolls (paper-plastic) and sterilisation tubing (plastic-plastic) materials. The welding time is adjustable, to match the type and thickness of material, an audible beep advises when the seal is complete. 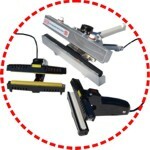 The machine operates quickly and efficiently with magnet hold, offering consistent secure sealing for every package. After the seal cycle the machine re-opens automatically. 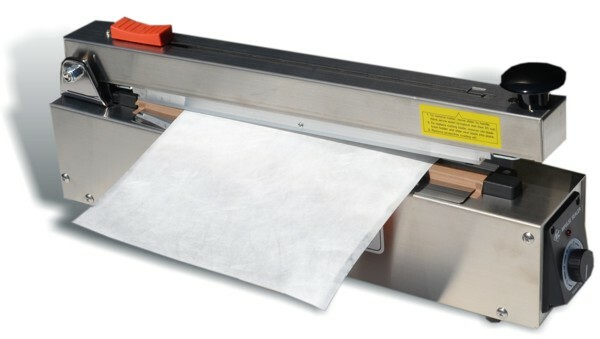 Heavy duty, single or double, automatic or manual impulse heat sealer. 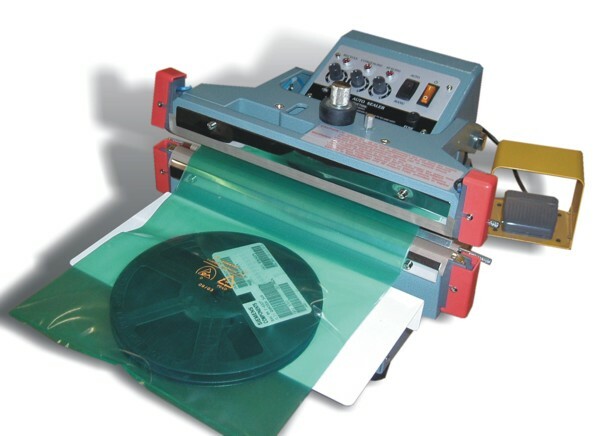 Seal up to 0.5mm gusseted or regular thermoplastic film. Separate programmable timers (for sealing, cooling and recycle time when in automatic mode). 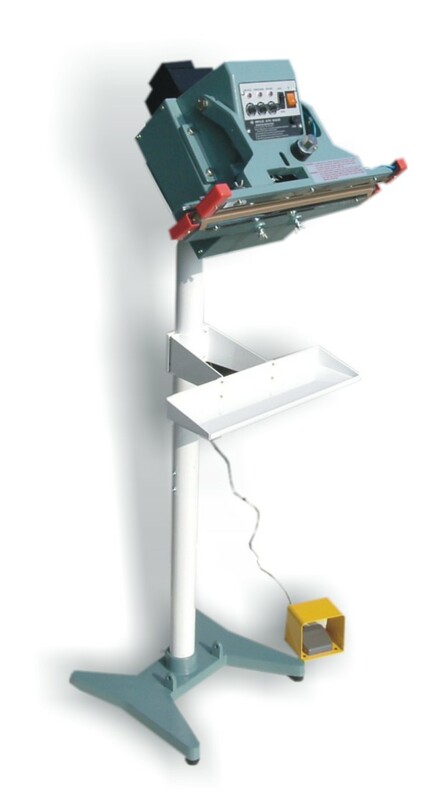 Foot switch included for manual operation. This model is designed for vertical heavy-duty sealing. 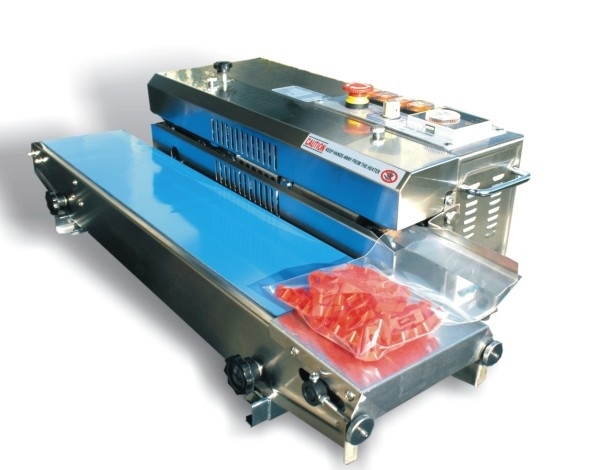 It can be collocated with conveyor or working table, to be linked to dosing and filling systems. 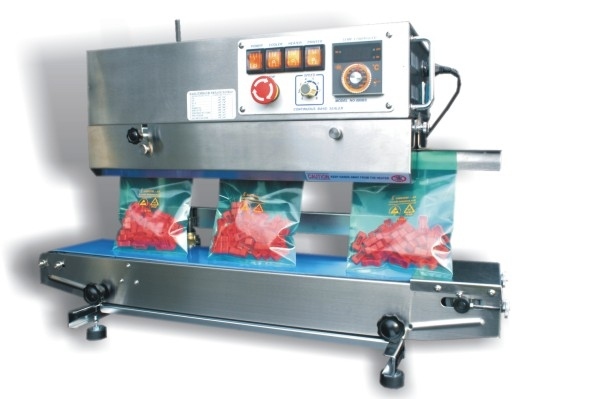 Operator can choose one side heating or double sides heating, this last is suitable for heavy duty bags and wet or dusty bags. 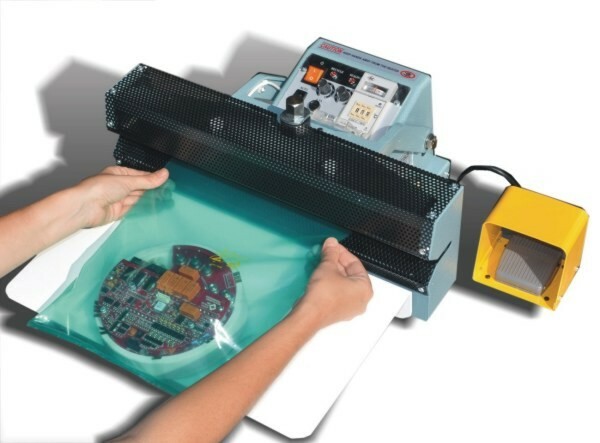 - Works on monofolded shrink film (already preforated let the air flow out). 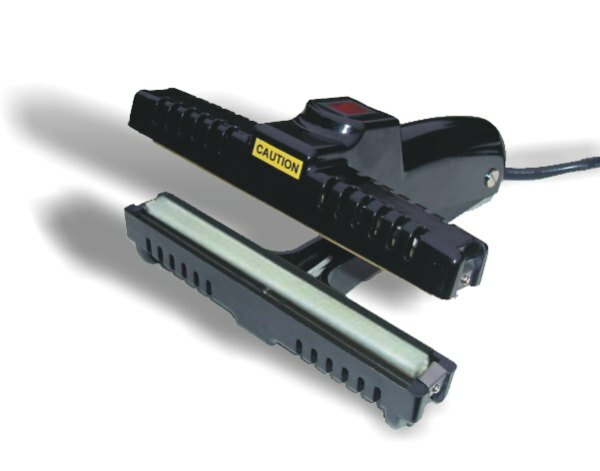 Hand held sealer from 150mm to 400mm. ON/OFF lighted switch. 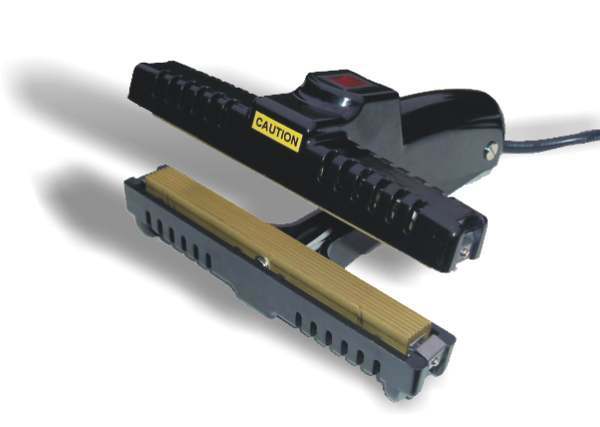 Double heating jaws. 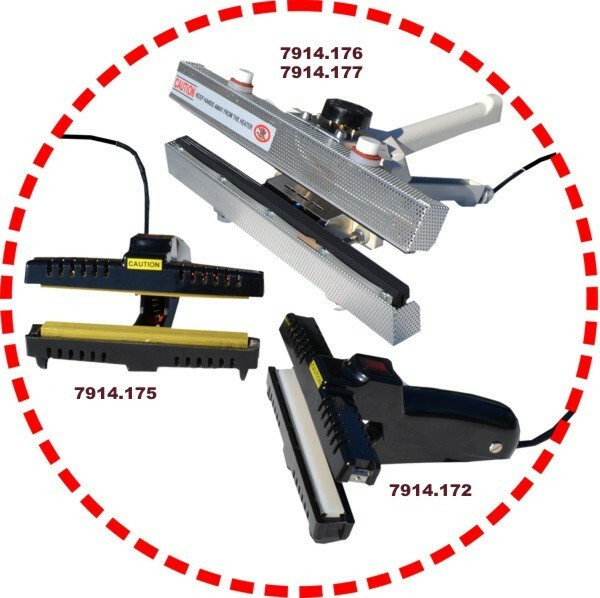 Heavy duty, constant temperature, magnet hold, automatic or manual impulse heat sealer. 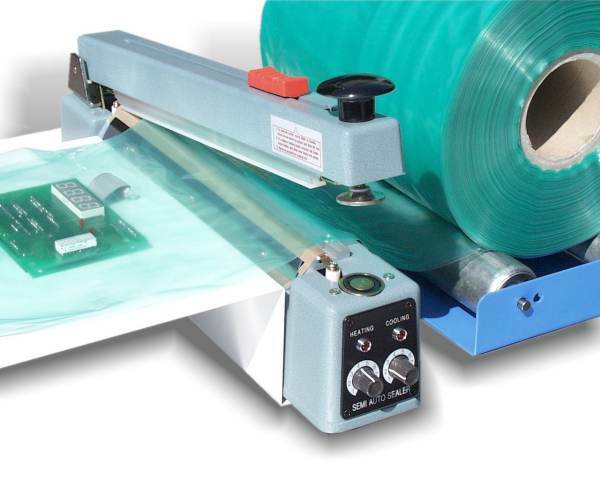 The machine is suitable for heavy bags like poly-cello films, aluminum foil or moisture barrier bags. Each seal has a deeply embossed texture.